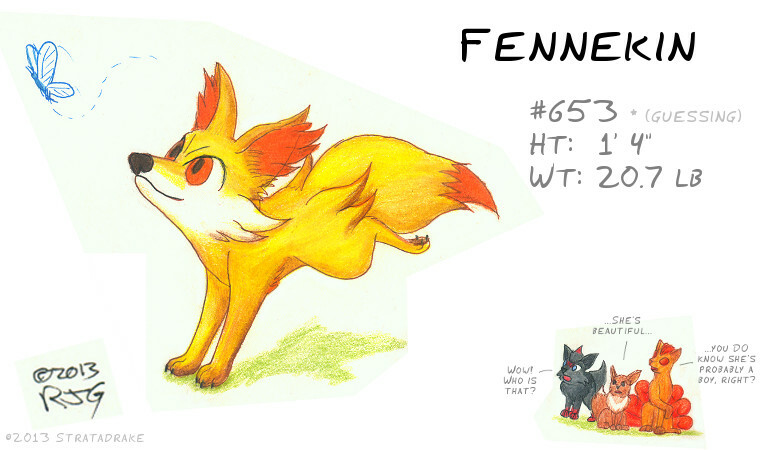 Fennekin - a Fire Fox Pokémon. CONFIRMED Fire-type starter for the 6th generation Pokémon games (Pokemon X and Y versions), expected to be out in October 2013. 8x5", colored pencil, slightly rushed - strike while the inspiration is hot! She has tiny back legs! I mean "he!"